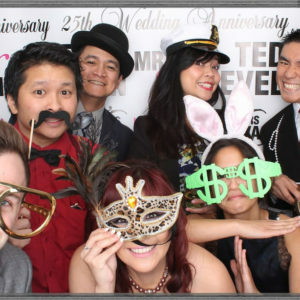 Perspective Photo Booth is a customizable photo booth company that takes the photo booth experience to the next level. We offer open-air and hard-enclosed photo booths with modern sleek finishes. Our service options include studio photography lighting, custom graphics,, themed props, green screen, and social sharing. Please see our Photo Booths Tab for more information. We can create an open air photo booth experience utilizing your event space as a backdrop or bringing in our own step and repeat style backdrop. Do you have a themed event that you would like to include in the photo booth experience? Green Screen Photography is the ultimate custom photo booth experience for such an ocassion. Looking for a way to share digital files on demand? Our Social Sharing Platform allow your guests to share their pictures on demand to Facebook/Instagram/Twitter/Email. This party rental Photo Booth is a sleek white frosted hard enclosed booth with great customizable options and larger guest capacity. Our party rental hard enclosed Photo Booths are very customizable. Clients have the option to customize the Photo Booth with colored LED lights and branding panels. If you have a large group that needs Head Shots, you have come to the right place. Our team of photography experts have streamlined an efficient Head Shot experience for small and large scale groups. Our beautiful lighting will deliver high quality photos that your team members will utilize personally and professionally. If your event has a particular photo booth or photography idea in mind, you have come to the right team. Our team of experts have customized large and small scale events., and understand that each event has special needs that we are capable of delivering. Contact us today with your customized photo booth and or photography needs. Imagine Our Photo Booths Capturing the Memories at Your Event! We offer Photo Booths for Weddings, Birthdays, Mitzvahs, Social Events, Conventions, Brand Launches & Corporate Events in San Mateo, San Jose, Burlingame, Walnut Creek and more. At Perspective Photo Booth we offer Professional and Custom Photo Booth rentals in the Greater San Francisco Bay Area, including San Mateo, San Jose, and Burlingame. We have a variety of Photo Booth options including hard enclosed, open air, red carpet, studio style, and more. Our Photo Booths packages include studio-style high-end lighting with 2×6 or 4×6 prints, custom graphic labels, and professional Photo Booth attendants. 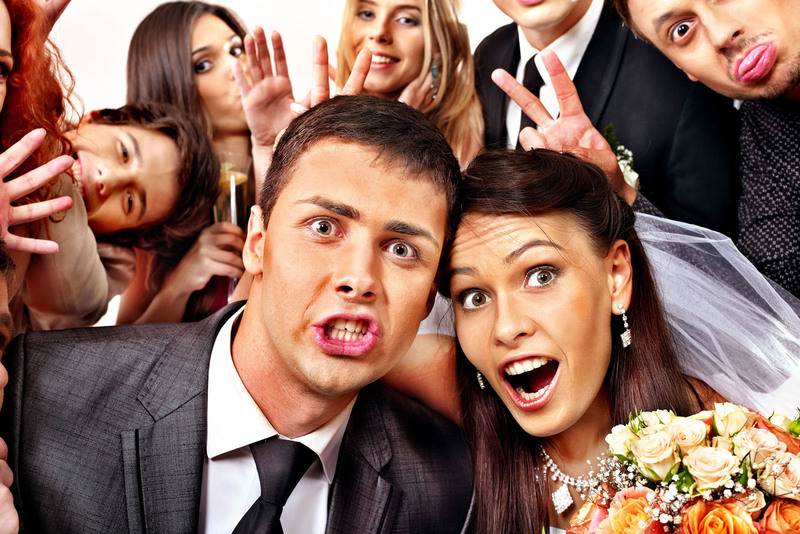 From Weddings and Corporate Events in the Greater San Francisco Bay Area, San Mateo, San, Jose, and Burlingame, to Birthdays and Conventions in Walnut Creek, our photo booth are an exciting addition to any special event! Your guests will have a memorable experience using our hard enclosed, open air, red carpet, and studio style photo booth offerings. Whether you want a Photo Booth for intimate occasions or for grand celebrations, Perspective Photo Booth offers a variety of rental packages including hard enclosed, open air, studio style, red carpet, and much more options that fit event needs and budgets perfectly. Our Photo Booth rentals offer large capacity with wheelchair-accessible features. Additionally, we offer custom graphic labels and unique 2×6 or 4×6 prints, outlined to suit your special event or wedding theme. Our experienced staff and friendly attendants will assist to make the photo booth experience more enjoyable, convenient, and worry-free. Our services and professional photo prints from Perspective Photo Booth are available for events in the Greater San Francisco Bay Area including San Mateo, San Jose, and Walnut Creek. Browse through our photo booth rental packages and book our services today. We love working consistently with our clients. Thank you all, for your continued business! We chose Perspective Photo Booth for our company’s afternoon luncheon and they were wonderful! They were wonderfully accommodating as well with our photos – photo strips, email and additionally a thumb drive with every single photo they took that day. Everyone had so much fun taking pictures especially with the background theme added into the photo – loved it! I will for sure refer them to all my friends and most definitely will book them again. Thank you so much for all your help planning and executing our event. You really care about your clients’ happiness; it shows in your work. Photo Booth Rental San Francisco, Photo Booth San Francisco Rental, Photo Booth Rental Bay Area, Photo Booth Rental Burlingame, Photo Booth Rental San Jose, Photo Booth Rental San MateoLooking for custom event Photo Booth Rental San Francisco, custom event Photo Booth San Francisco Rental, custom event Photo Booth Rental Bay Area, custom event Photo Booth Rental Burlingame, custom event Photo Booth Rental San Jose, custom event Photo Booth Rental San Mateo, custom event Open Air Photo Booth San Francisco, custom event Open Air Photo Booth Bay Area, custom event Open Air Photo Booth Burlingame, custom event Open Air Photo Booth San Jose, custom event Open Air Photo Booth San Mateo, custom Open Air Photo Booth San Francisco, custom Open Air Photo Booth Bay Area, custom Open Air Photo Booth Burlingame, custom Open Air Photo Booth San Jose, custom Open Air Photo Booth San Mateo? Known to provide quality Photo Booth Rental San Francisco, Photo Booth San Francisco Rental, Photo Booth Rental Bay Area, Photo Booth Rental Burlingame, Photo Booth Rental San Jose, Photo Booth Rental San Mateo, we, at Perspective Photo Booth, provide a variety of creative services to pump up your event like custom event Photo Booth Rental San Francisco, custom event Photo Booth San Francisco Rental, custom event Photo Booth Rental Bay Area, custom event Photo Booth Rental Burlingame, custom event Photo Booth Rental San Jose, custom event Photo Booth Rental San Mateo, custom event Open Air Photo Booth San Francisco, custom event Open Air Photo Booth Bay Area, custom event Open Air Photo Booth Burlingame, custom event Open Air Photo Booth San Jose, custom event Open Air Photo Booth San Mateo, custom Open Air Photo Booth San Francisco, custom Open Air Photo Booth Bay Area, custom Open Air Photo Booth Burlingame, custom Open Air Photo Booth San Jose, custom Open Air Photo Booth San Mateo. Aside from quality custom event Photo Booth Rental San Francisco, custom event Photo Booth San Francisco Rental, custom event Photo Booth Rental Bay Area, custom event Photo Booth Rental Burlingame, custom event Photo Booth Rental San Jose, custom event Photo Booth Rental San Mateo, custom event Open Air Photo Booth San Francisco, custom event Open Air Photo Booth Bay Area, custom event Open Air Photo Booth Burlingame, custom event Open Air Photo Booth San Jose, custom event Open Air Photo Booth San Mateo, custom Open Air Photo Booth San Francisco, custom Open Air Photo Booth Bay Area, custom Open Air Photo Booth Burlingame, custom Open Air Photo Booth San Jose, custom Open Air Photo Booth San Mateo, we also have Photo Booth Rental San Francisco, Photo Booth San Francisco Rental, Photo Booth Rental Bay Area, Photo Booth Rental Burlingame, Photo Booth Rental San Jose, Photo Booth Rental San Mateo, Open Air Photo Booth San Francisco, Open Air Photo Booth Bay Area, Open Air Photo Booth Burlingame, Open Air Photo Booth San Jose, Open Air Photo Booth San Mateo.